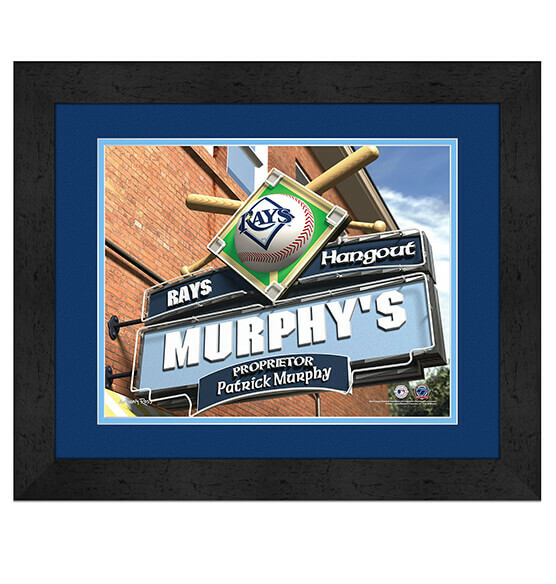 Cement your Tampa Bay Rays fan status with this D-Rays Personalized MLB Pub Sign Framed decor. Customize our personalized sign with the name or nicknames of your choice. This custom-printed piece is guaranteed to look great in your home, office or wherever the baseball-watching magic happens. With its high-quality frame, glass and brilliant team colors and logo, you'll be proud to mount this ready-to-hang D-Rays sports decor. Buy for yourself or for a fellow Rays fan for a gift that is sure to be a grand slam.